Top 20 Chania Beaches - The best Beaches await you! Crystal clear waters, hot sun, endless beaches, secluded coves and idyllic sunsets make the best Chania Beaches , the most attractive spots during the summer! We collected and present to you 20 of them which are certainly worth a dive! Ready for … water adventures? A pink carpet of shells on the seabed and the beach, crystal clear waters and golden sand are just some of the reasons why this beach is one of the most popular Chania Beaches and Crete. The route may be a little bit tiring, but the unique and exotic scenery of Elafonisi will reward you! Plus, it is organized and has umbrellas and sunbeds. In order to get there, head to Kissamos, follow the signs and you will reach Elafonisi within about a half hour. 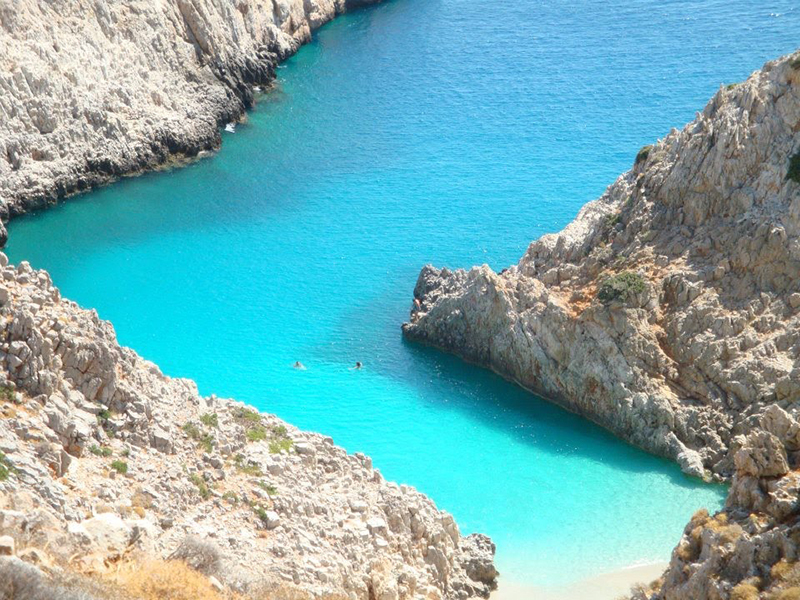 When you get to Elafonisi, you will be impressed by the turquoise waters! To reach the island you walk in τηε water, that reaches the ankle. It is 70 km. from the city of Chania and is called the bride of the Libyan Sea! 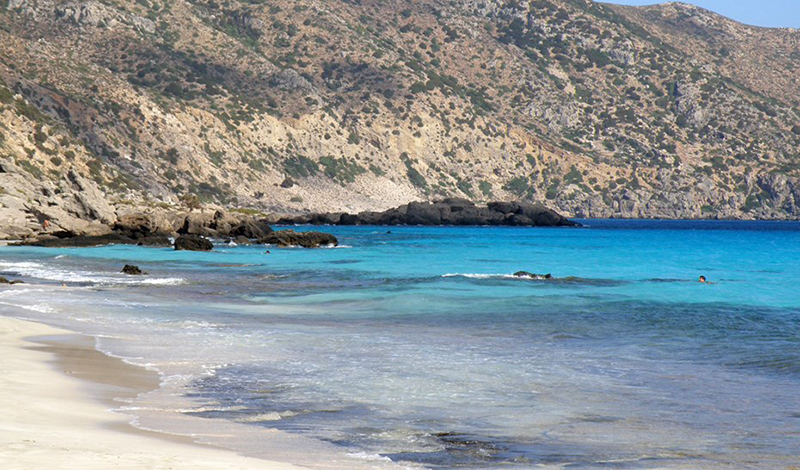 Paleochora features a number of beaches, responding to all tastes. The two main beaches are Pahia Ammos and Chalikia, which are organized and attract many surfers as the winds in the region form quite appropriate waves for surfing! To find yourself in Paleochora, drive along the National Road Chania – Kissamos and follow the signs to Paleochora. In about half an hour you will be at the village. 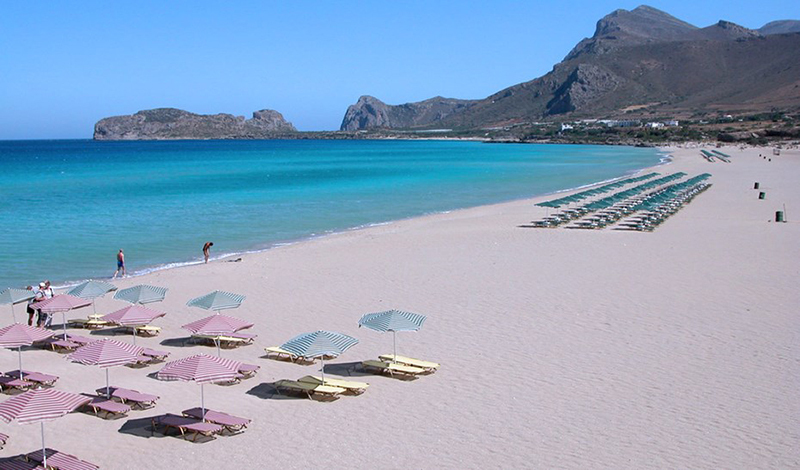 It is one of the isolated Chania Beaches. “Glyka Nera” means “Sweet Waters” and took its name from the fresh water flowing from the mountains and ending by the sea. The beach is located 4 km. west of Sfakia and 75km. south of Chania. The cliffs, hanging over the beach, create the necessary shade, while the turquoise waters invite you to dive! In order to get there, you will take the boat from Sfakia or Loutro and will reach within 5-10 min. 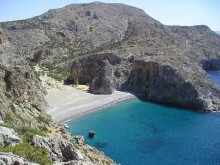 If you’re a lover of adventure, then a rough hiking trail from Sfakia or Loutro will also lead you there. In the Northwest coast of Gavdos, 7km. 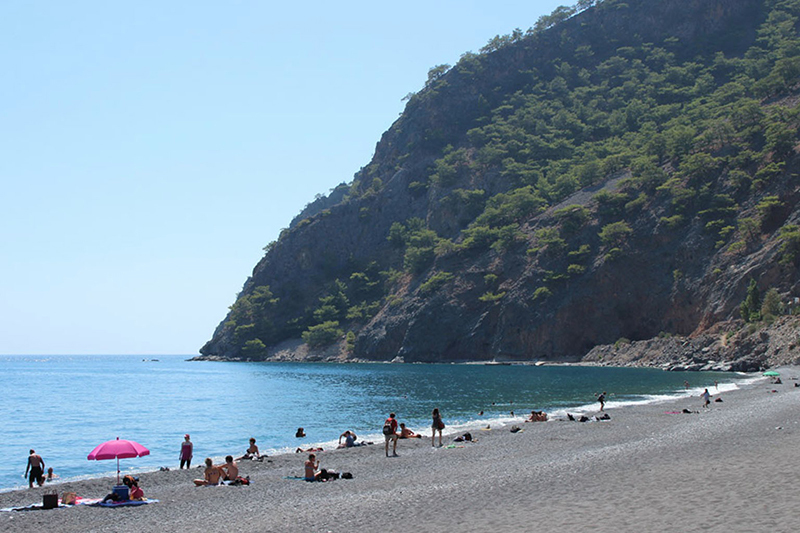 northwest of the harbor, in Karave, the reddish sand of the coastline gives a different feel to your summer desires. The scattered cedar trees in the background add their own touch to the idyllic landscape! 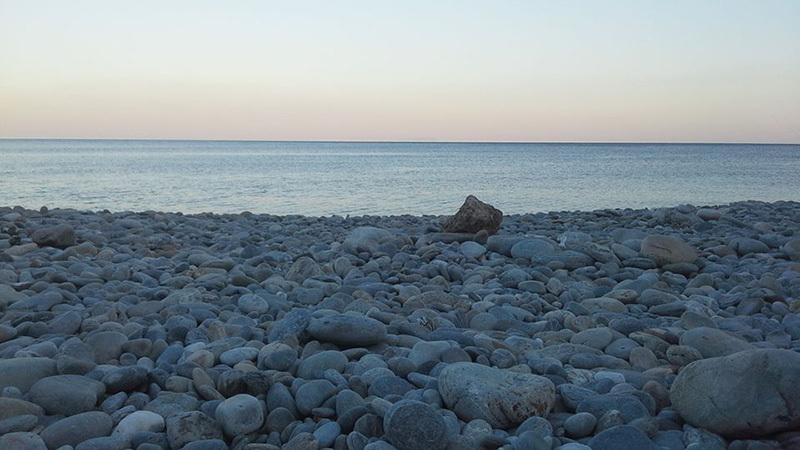 To visit this beach in Gavdos, you need to take the boat from Paleochora or Sfakia to Gavdos. 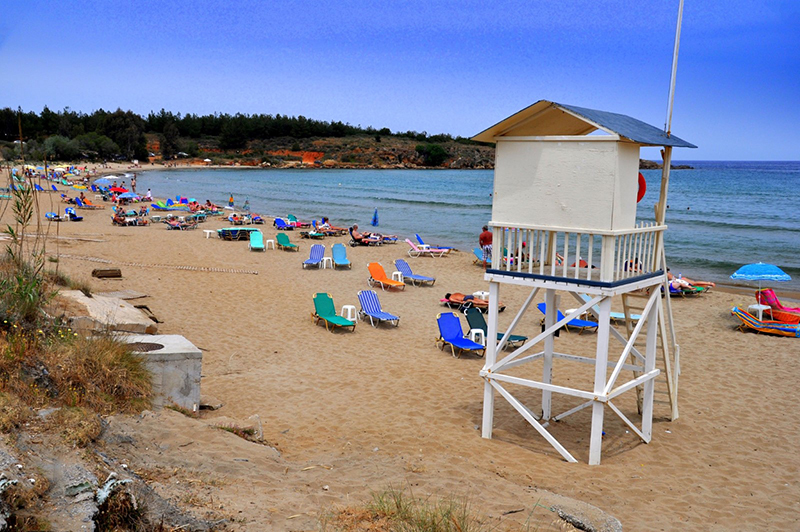 Agia Marina beach is one of the locals’ favorite Chania Beaches. As soon as the temperature starts rising, the beach is “flooded” with young people shaking in the rhythm of the loud music from the beach bars. 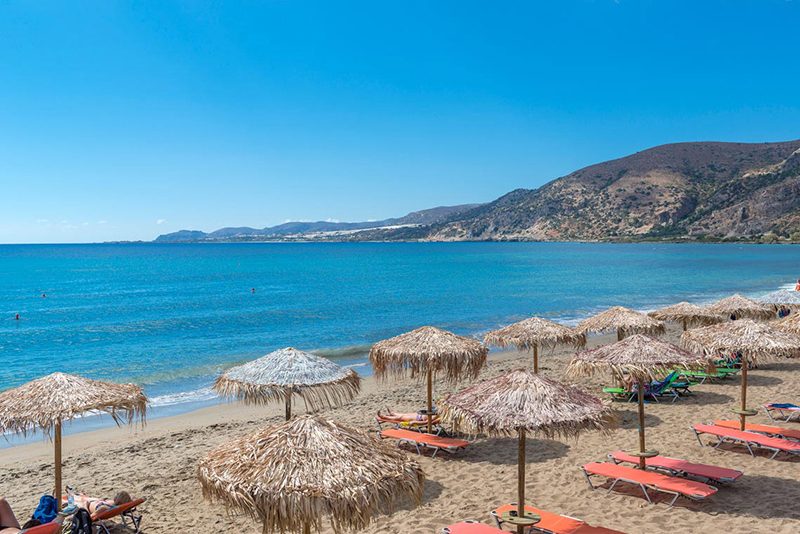 The beach bars in Agia Marina are ideal for a night out, which you can easily combine with night swimming! Agia Marina is only 10 from the old National Road Chanion – Kissamou and 15 minutes from the centre of Chania. Images of exotic islands are mixed with the Greek beauty in a unique setting that you will not meet elsewhere! The deep blue of the shallow water of Balos is mixed with the sky and the rocky formations and all that makes you fall in love Balos at first … splash! To get there, you follow the National Road Chania-Kissamos for 46 km., them drive along a dirt road for 8 km. and go down the path that is 20 min. from the beach. Also, there are daily cruises from Kasteli to Balos. First, you can visit Gramvousa with its Venetian castle (1579-1584) and countless cacti and then go to Balos where you receive smaller boats to take you back to the shore. 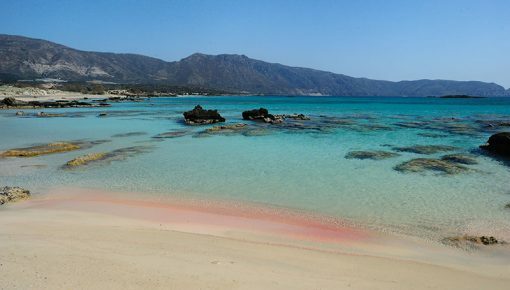 Kedrodasos is located southwest of Chania and is a real Cretan oasis with turquoise waters and very cool atmosphere. Indeed, here you will not even need to bring an umbrella, as cedars provide the necessary shade. 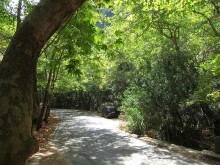 In order to reach Kedrodasos, drive from Kissamos towards Elafonisi. Then, before you take the road to Elafonisi, turn left. The road will lead you out on a square where you will need to continue on foot. 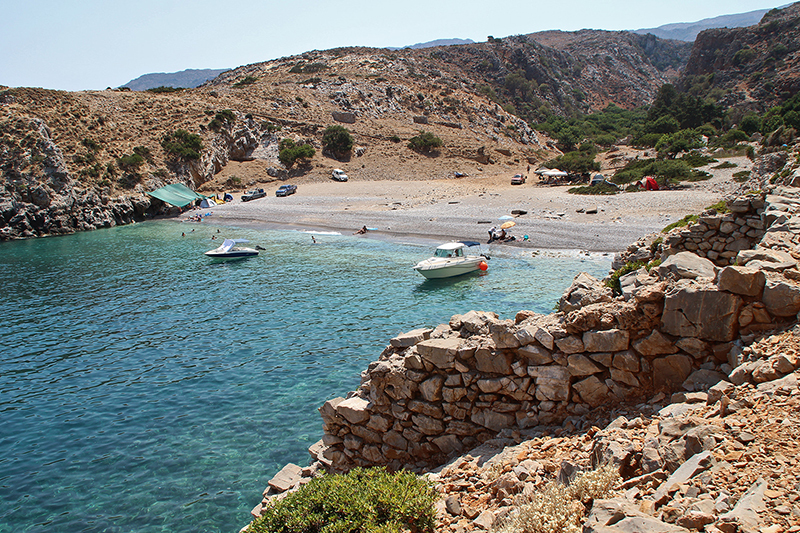 In the northwest of the island, 17 km from Kissamos, Falassarna is maybe the most beautiful beach of the island. 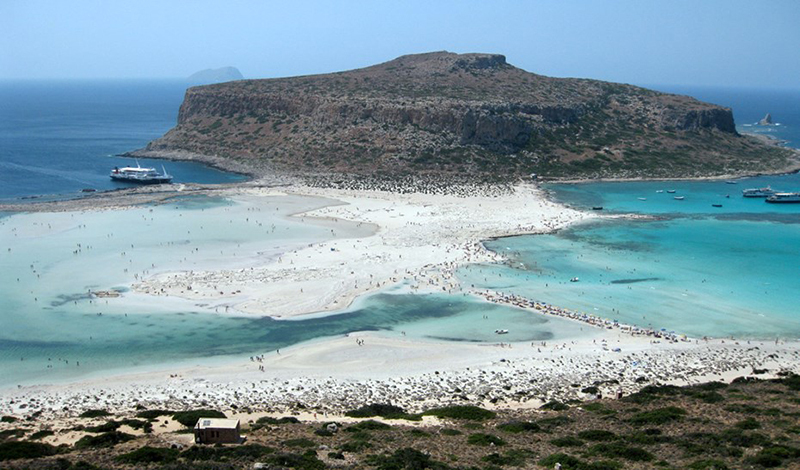 It has been awarded several times as the best beach of Greece and is constantly included in the best beaches of the world together with Balos and Elafonisi. The almost pink sand, the clear, turquoise waters and the surrounding mountains offer majestic scenery! If you like waves, you’ll love this beach! Clear water, endless sandy beach for lovers of summer sports (beach volley, rackets) and adventure! 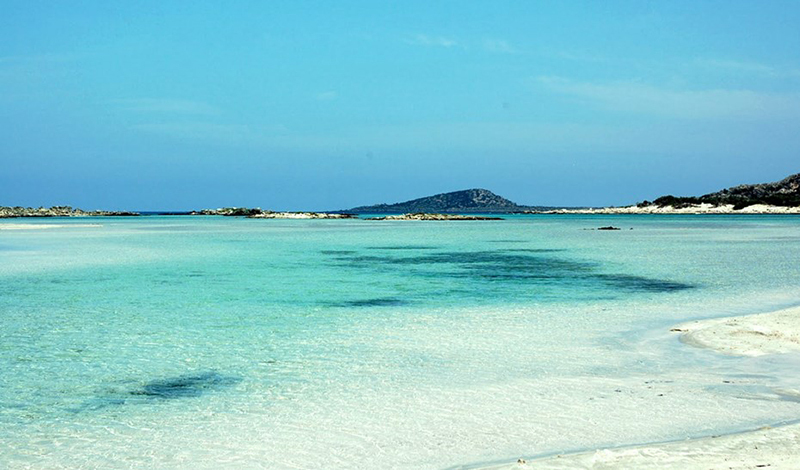 The beach of Sougia enchants any visitor with its deep clear waters! It is required a little more driving in order to get there, but it is sure that the place will reward you! The eastern part of the beach is a popular nudists spot. In the village of Sougia you will have the chance to enjoy excellent Cretan dishes in its traditional taverns. To get there, drive on the road towards Alikianos village and you will arrive after about one and a half hour. Sougia is located 70 km. south of Chania. 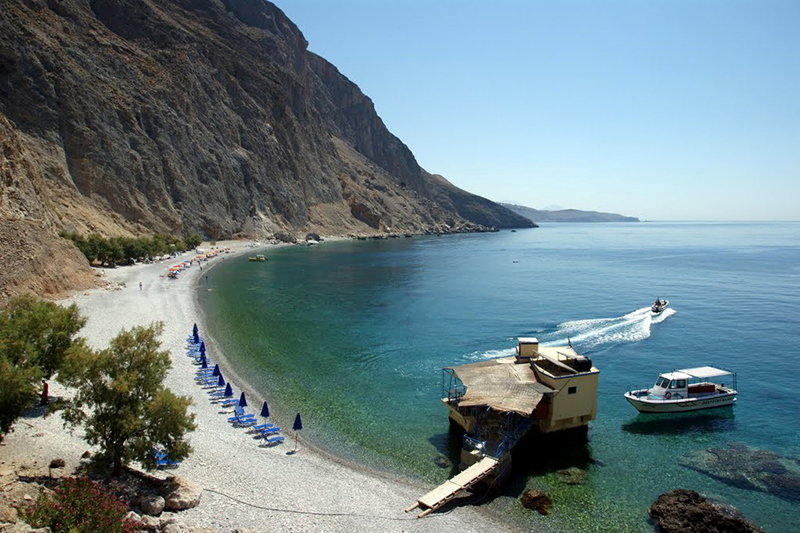 Agia Roumeli beach is located directly on the exit of Samaria Gorge, at the starting point of the E4 path, which leads to the beautiful church of St. Pavlos and the beautiful beach that lies beneath it. You will also have the chance to explore the cedar forest located there. You may reach those beaches either on foot or by sea. If you are fond of adventure and fitness, get ready for trekking by crossing the Samaria Gorge, a distance of 16 km. 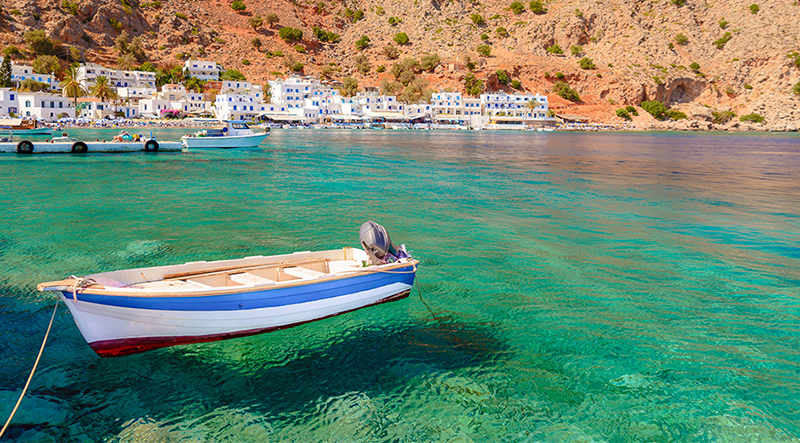 Alternatively, you can take the boat from the town of Sfakia. This beach is named from the bright golden color of the sand, while its main advantage is its close distance from the city. 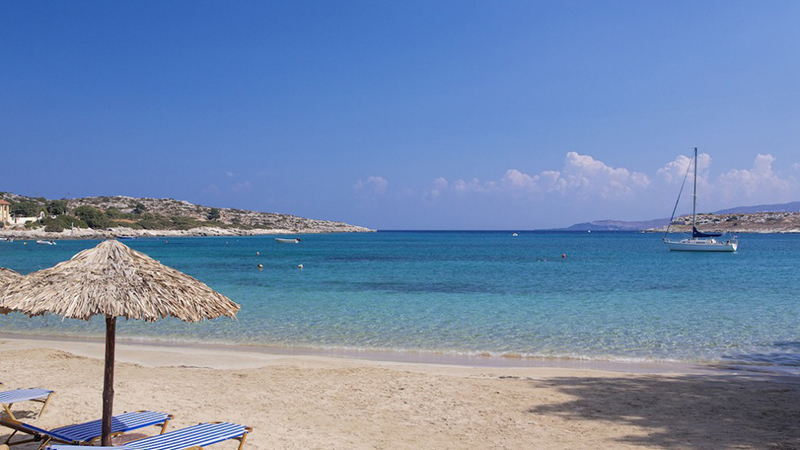 It is one of the best family beaches of Chania , as it features a number of amenities and also a playground for kids. In order to reach Chrisi Akti beach, you will cross a short distance from the city, either on foot or by car or bus. A hidden paradise, about 70 km. from the city of Chania, is waiting for you in Loutro, the picturesque fishing village near Sfakia. Its pebble beach steals the impressions with its turquoise waters and the setting around is idyllic! The place is organized and offers everything you need (taverns, cafes, water sports, etc.). You may reach Loutro by crossing the hiking trail from Chora Sfakion within half an hour or taking the boat from Sfakia. Marathi is ideal for couples because of its glorious sunset and is not unjustly characterized as “lovers beach”! It is located a short distance from the center of Chania (15 ‘drive), has fine sand and is fully organized. In order to get there, you can take the car and drive towards the airport. On the circular junction, follow the signs leading to Marathi. Umbrellas and comfortable sunbeds are placed on a rock, where the lawn replaces the pebbles and sand, in a heavenly setting! If you want a sandy beach, a few meters away is the place for you! How you will get to Loutraki? Drive towards the airport and, on the circular junction, take the road leading to Loutraki. It is about 20 minutes drive from the city center. Platanias beach is at the top choices of tourists visiting Chania and also the locals. It is located in the homonymous village, which is just 11 km. from Chania. Its long beach features a variety of beach bars and restaurants, so you can spend a whole day at the beach! It will take you only 15 min. by bus or car from the center of the city. 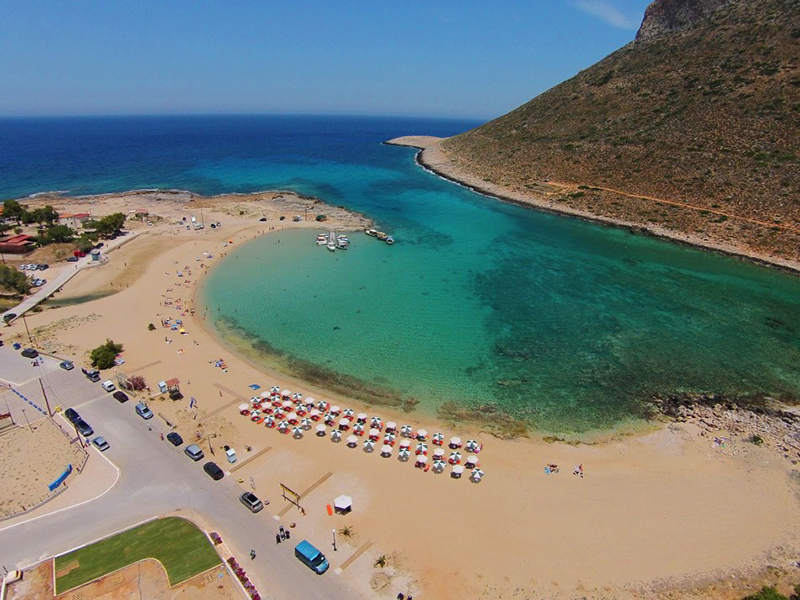 Kalathas beach is considered as one of the best family of Chania beaches! The sandy beach offers quite many maritime activities as well as the finest choices in food and accommodation. It is also an ideal summer destination! If you choose to stay in Akrotiri, 14 km. north of Chania, the beach of Kalathas will be your favorite swimming spot during your summer holidays! To reach Kalathas beach, you take the car or bus and drive towards the airport. 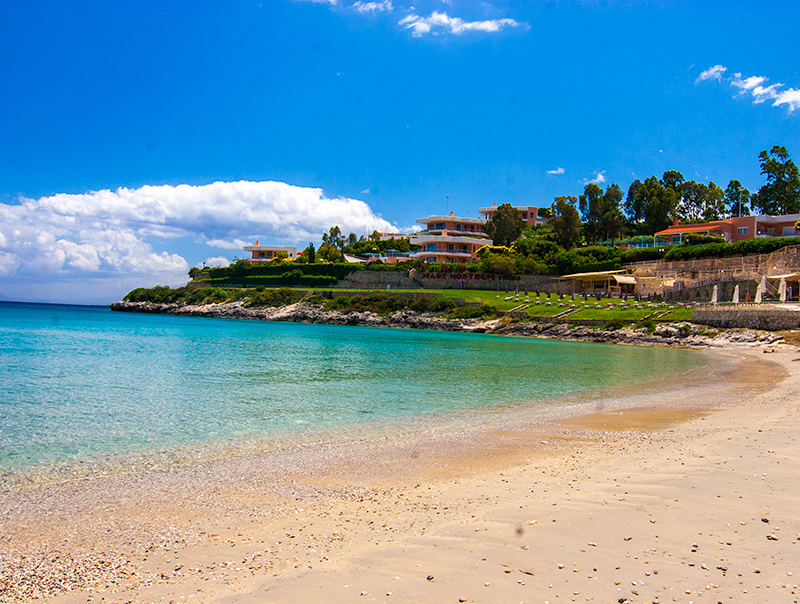 Stavros is one of the most stunning of Chania beaches. It is just 16 km. from Chania and is basically … two beaches: the central sandy beach, and the more isolated beach, 800 m. from the previous one. In Stavros was filmed the famous film “Zorba”. Additionally, in Stavros you will find many options in cafes, bars, restaurants and hotels. In order to get in Stavros, you take the road to Akrotiri, pass Kalathas and continue driving until you reach Stavros. 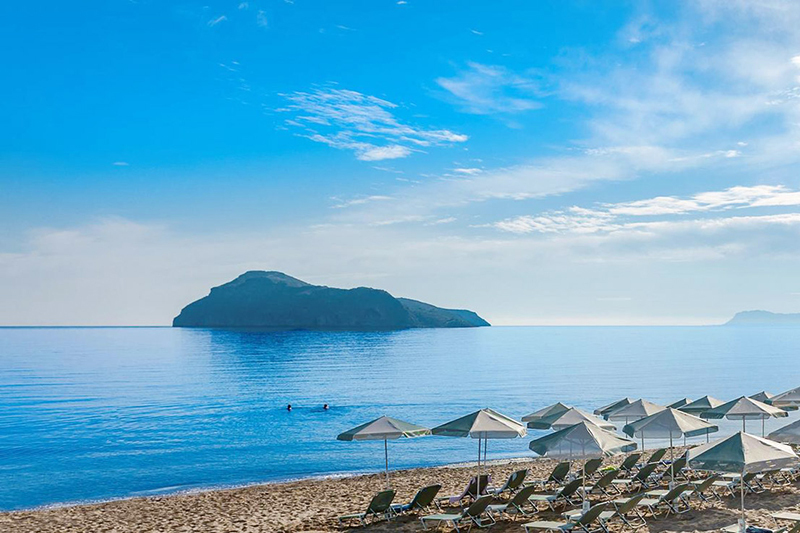 It is not a coincidence that in recent years, Georgioupolis beach has become the tourist attraction of the village, due to its emerald waters, soft sand and the amenities offered in the area around. 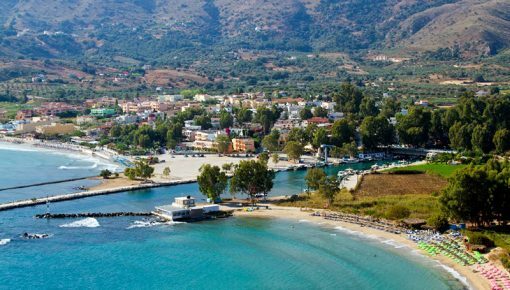 To visit Georgioupolis, drive for 38 km. southeast of Chania, on the National Road Chania – Rethymno and turn left, as soon as you see the village of Vrysses. It will take you about half an hour driving from Chania. 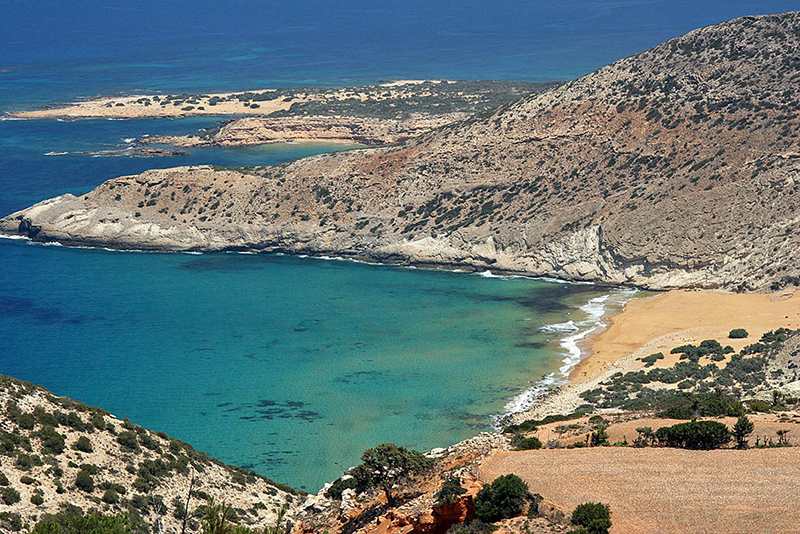 It is one of the most isolated of Chania beaches and is located 22 km. northeast of the city and 2 km. east of the village Chordaki, on the eastern side of Akrotiri. Vertical wild cliffs and stunning blue waters create a summer landscape of incomparable beauty. The approach to Seitan Limania beach is not easy, as you will need to drive 15 minutes from the airport and then descend a downhill path for 10 min. The beach is suitable for those who love tranquility and carefree dives! The route leading to the beach may be difficult, but in the end, you will be enchanted by the beautiful landscape! So moored and let go! To find yourself here: You need to head 45 km. West of Chania. Then you take the boat from Platanias or drive in E.O Chania-Kissamos. Then you go down the dirt road very carefully (45 from the beach). 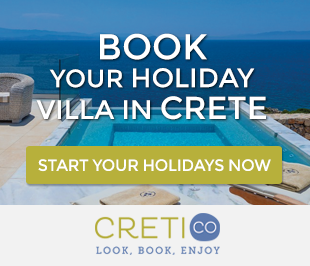 Posted on 07 May 2016 in Chania, Featured Posts and tagged Agia Marina, Balos Beach, Beaches In Chania, Beaches In Crete, Best Beaches In Crete, Elafonisi, Falassarna, Georgioupolis, Kedrodasos, Loutro, Marathi Beach Chania Crete, Paleochora, Platanias, Seitan Limania, Sougia, Stavros Beach Crete.